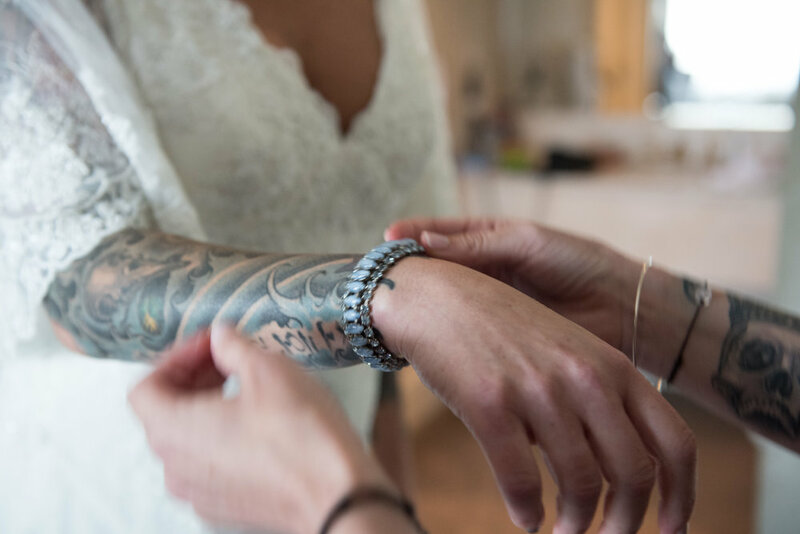 Combining Lisa’s love for Paris and all things French with Louis’ Cajun roots, we planned an elegant black, white and gold wedding at The Foundry and filled it with personal touches. All sorts of wonderful surprises punctuated the festivities: Lisa surprised Louis with an oil painting of their ceremony painted “en plein air” and then displayed during the reception to the delight of all, while the paint was still wet! Lisa also filmed a touching tribute video for Louis with their son Charlie, and presented it in lieu of a toast. My favorite moments had to be the reading excerpt from The Velveteen Rabbit discussing what it means to become “real”, read by two of the flower girls during the ceremony, and when another flower girl sang the song Adam Sandler performs in The Wedding Singer, “Grow Old With You” during the reception. The sweet sentiments perfectly captured the mood of the day. Louis’ mother shared her family recipe for Crawfish Etoufee, and chef presented bite-sized portions for the guests to enjoy as an hors d’oeuvre. In addition to the French 75 and Classic Margarita cocktails, Lisa and Louis served a collection of their favorite wine out of their personal cellar to pair with the sumptuous dinner buffet. 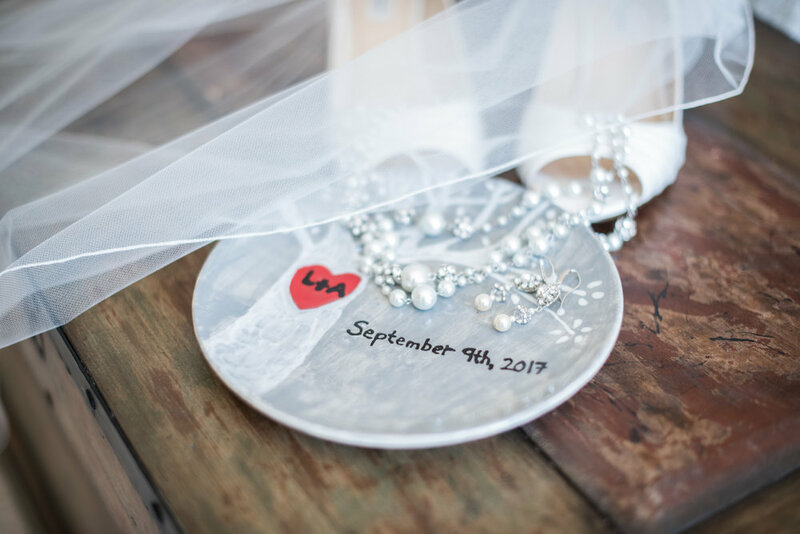 For their cake topper, Lisa and Louis had a 3D print created of themselves in their bridal attire (each went separately so as not to ruin the surprise of Lisa in her wedding dress, and then the image was overlaid). Congratulations, Lisa and Louis! Christine and Adam picked their wedding date because of the Supermoon that made the news on September 27th, 2015. 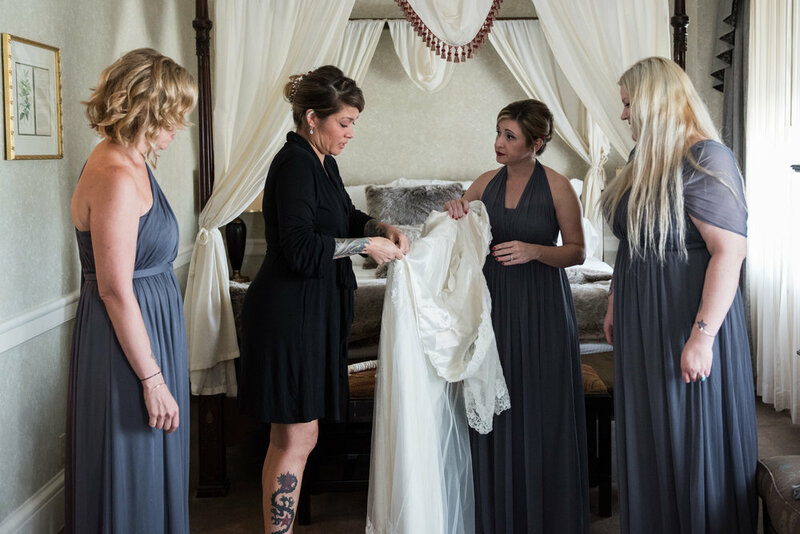 The couple worked with Elizabeth for about a year, planning all the fun details... and there were a lot! Upon arrival at The Foundry at Oswego Pointe guests were greeted with a glass of sparkling red wine. 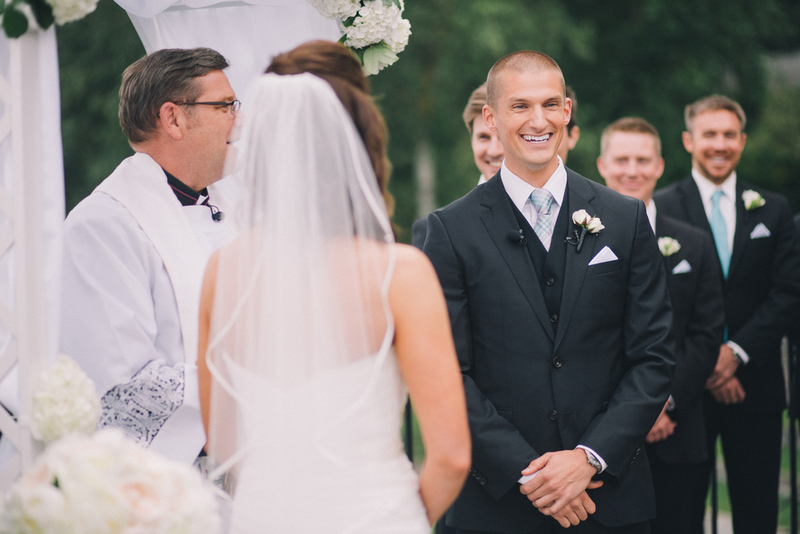 Just as the sun began to set and the moon began to rise, Christine and Adam's ceremony began. To tie in perfectly with the day, Christine walked down the aisle to "Total Eclipse of the Heart" which had guests bursting into loud cheers. 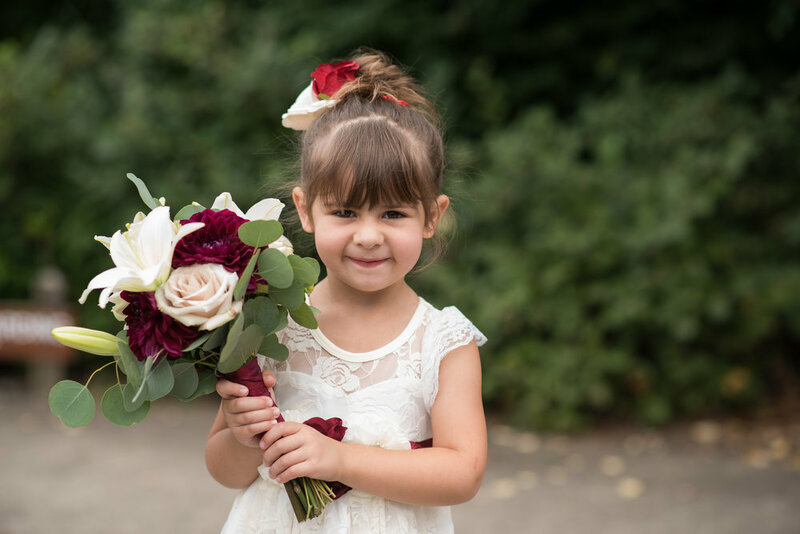 It was clear everyone was going to love every minute of this wedding. After the ceremony guests were invited upstairs for dinner, drinks and dancing. Food is important to Adam and Christine as Adam was the previous owner/chef for Acadia and also happens to be the restaurant where the two met. 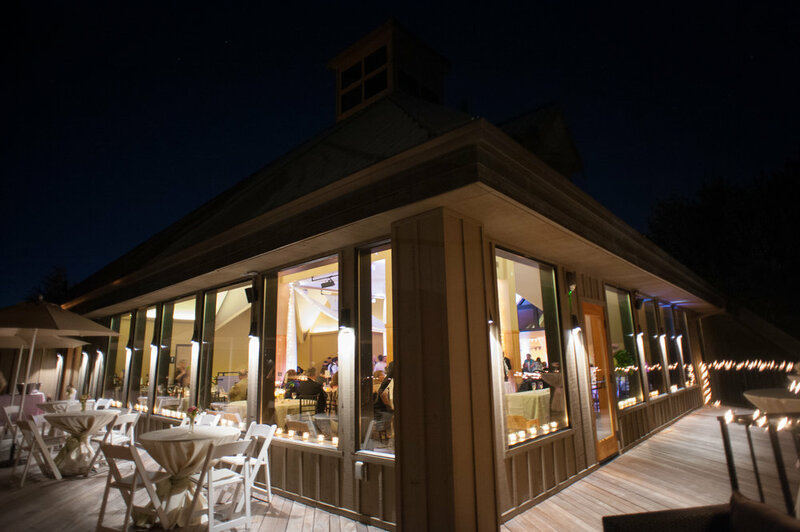 They landed on Devils Food for their catering and designed a perfect menu with stations that allowed guests to dine on wonderful food throughout the entire night. The best part of the evening - dessert. Adam and Christine worked with Dream Cakes to design a cake that mirrored the eclipse. 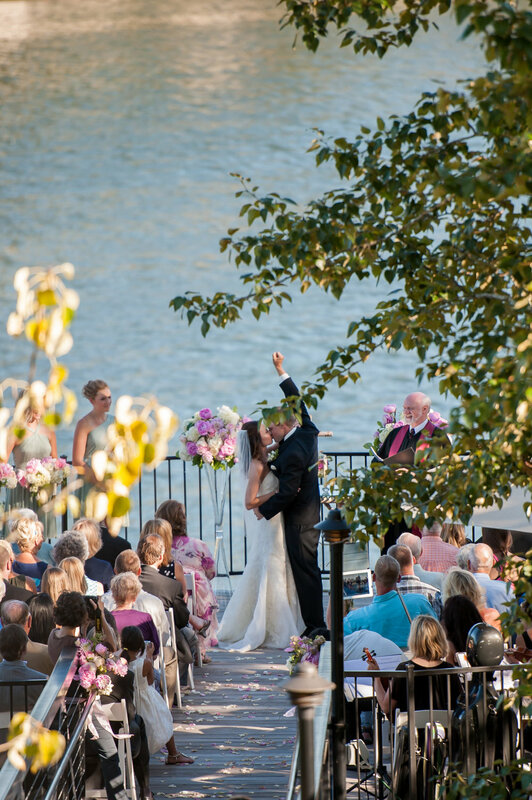 Stephanie & Mark are a lovely couple from the Pacific Northwest. 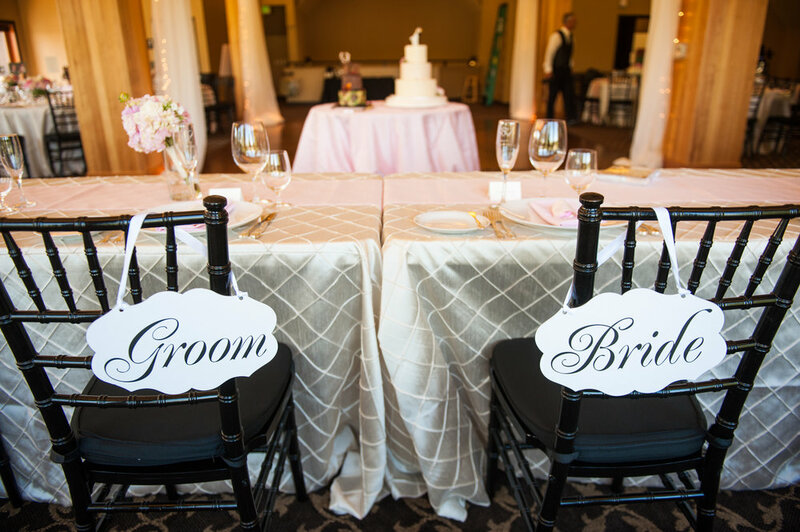 Both avid sports fans, The Seattle Seahawks and Sports Center came up in multiple toasts at the reception. 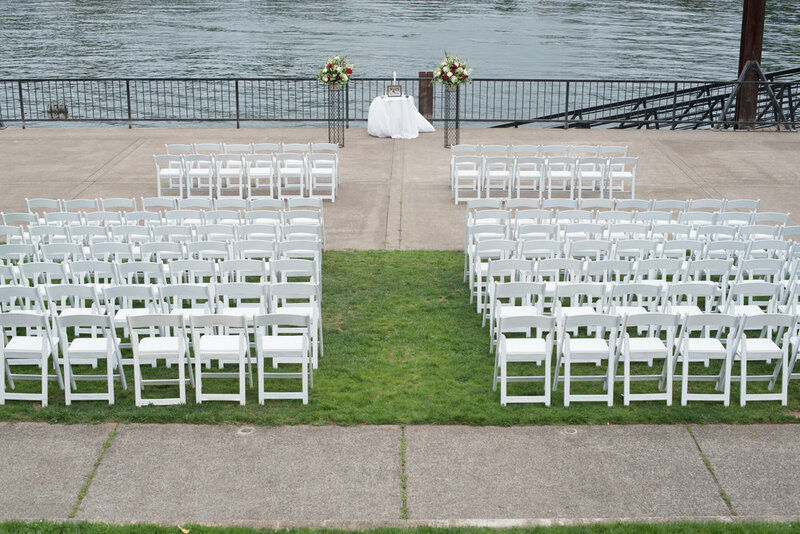 The ceremony was held at Roehr Park, overlooking the Willamette River on a smoky day, which created the opportunity for wonderful pictures. 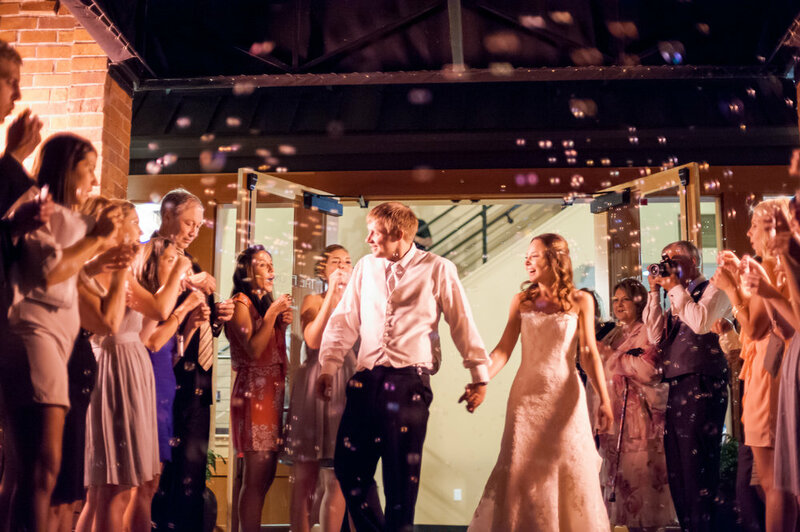 The wedding was followed by a lively reception at The Foundry, filled with laughter, pale pinks, and twinkle lights. 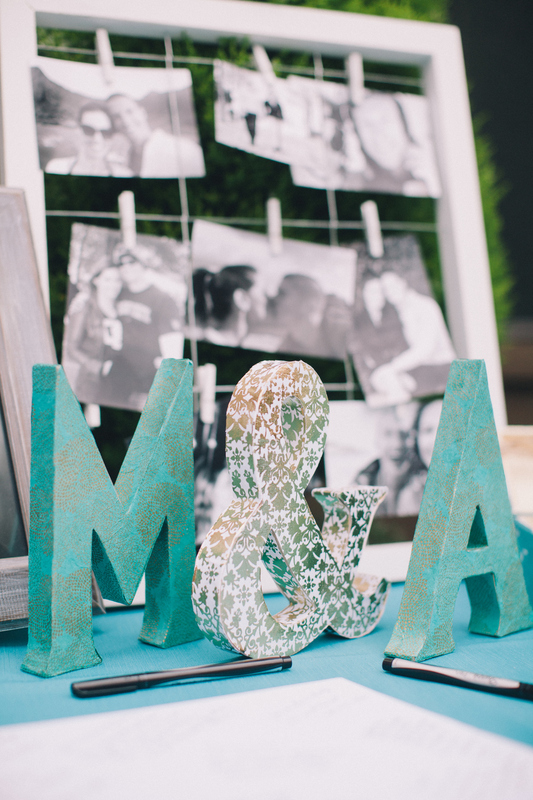 Between the couples’ lightheartedness, and their clear love for each other, it was a night to remember! 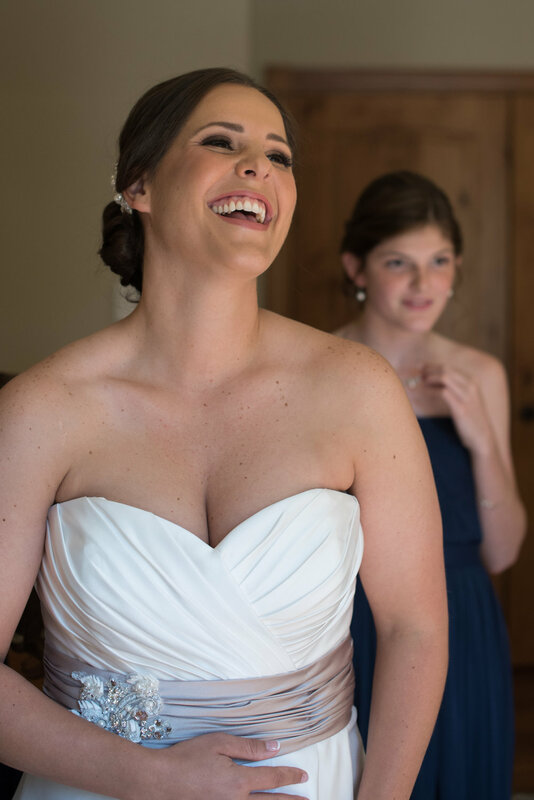 Jessica and Aidan worked with ELIZABETH to help plan their intimate wedding. With almost their entire guest list traveling from around the world they wanted to show case all that Oregon has to offer. 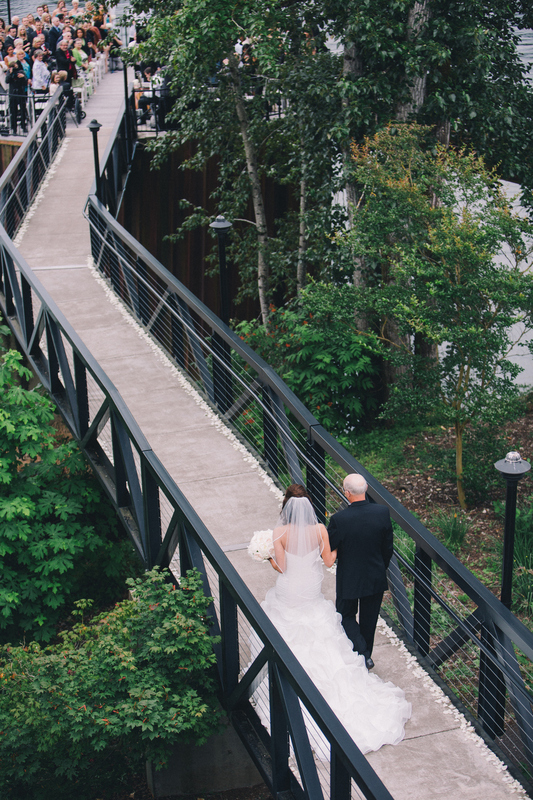 They decided to say “I do” at THE FOUNDRY which ended up being the perfect location. 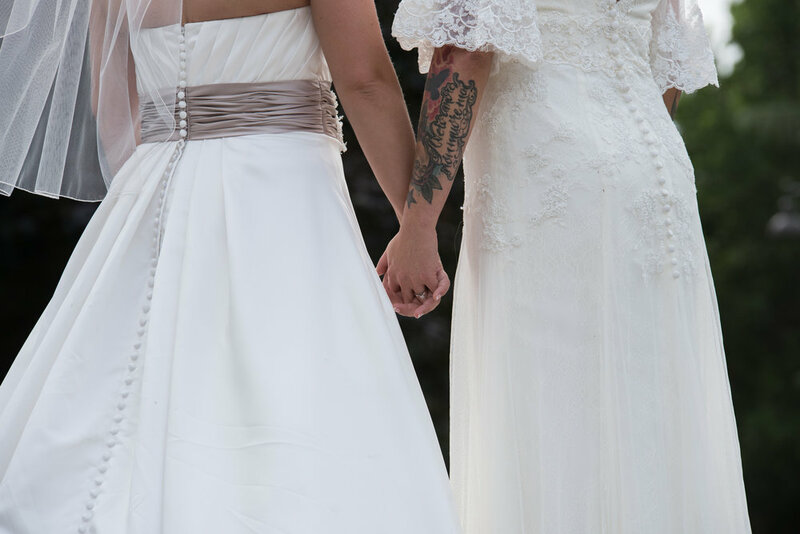 The last weekend in July is typically one of the safest weekends in Oregon to get married outside. However, this day it was greeted with a 51% chance of rain. After the morning rain passed the ceremony was able to take place outside. 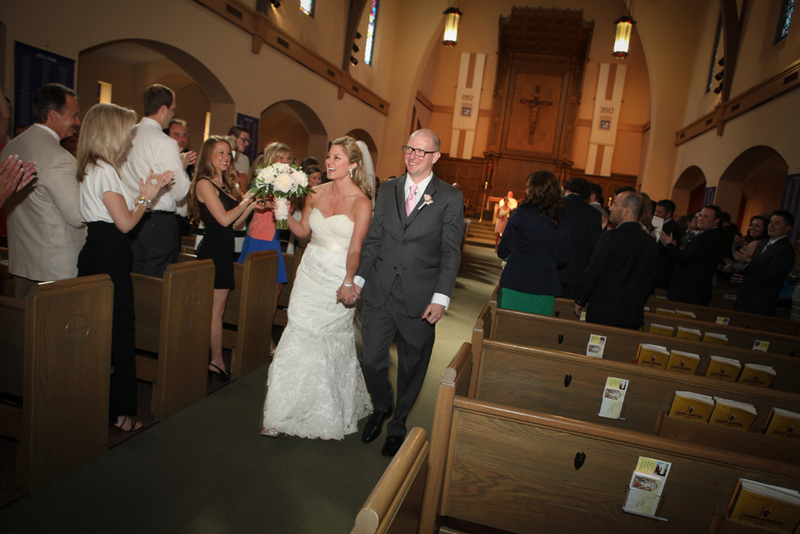 Memories were made as almost immediately as Jessica walked down the aisle with her dad a light mist came through. 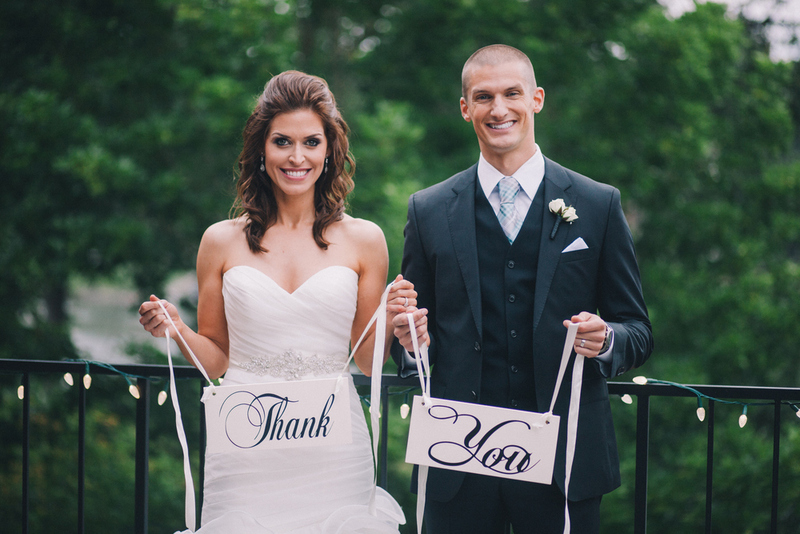 Guests popped up white umbrellas creating a beautiful outlook for Jessica and Aidan. After the ceremony guests enjoyed a cocktail hour with breaks of sunshine, dinner and dancing the night away. At the end of the night guests were gifted personalized bottles of wine and in return guests gifted Aidan and Jessica a sparkler send-off to remember for the rest of their lives. 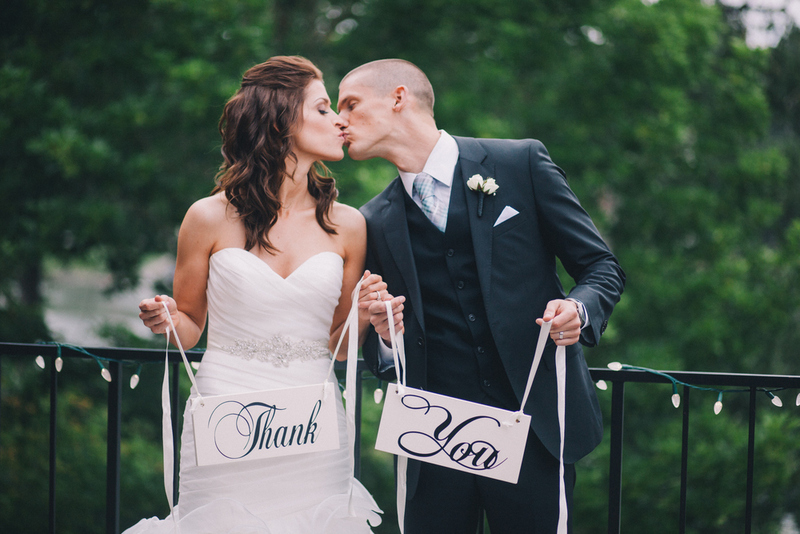 Merrin & Andy were an incredible couple that MEGHAN truly enjoyed working with. 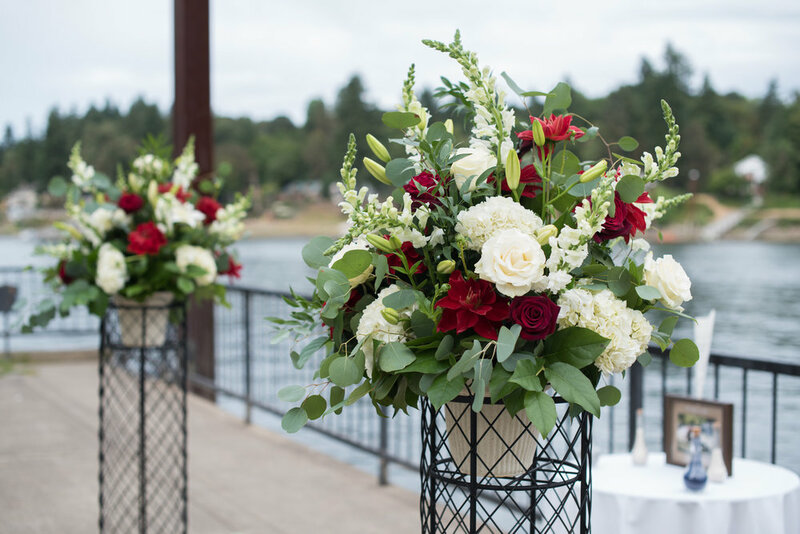 They lived in San Francisco, but chose to get married in Portland and wanted to create a wedding full of details to showcase the beauty of the area. 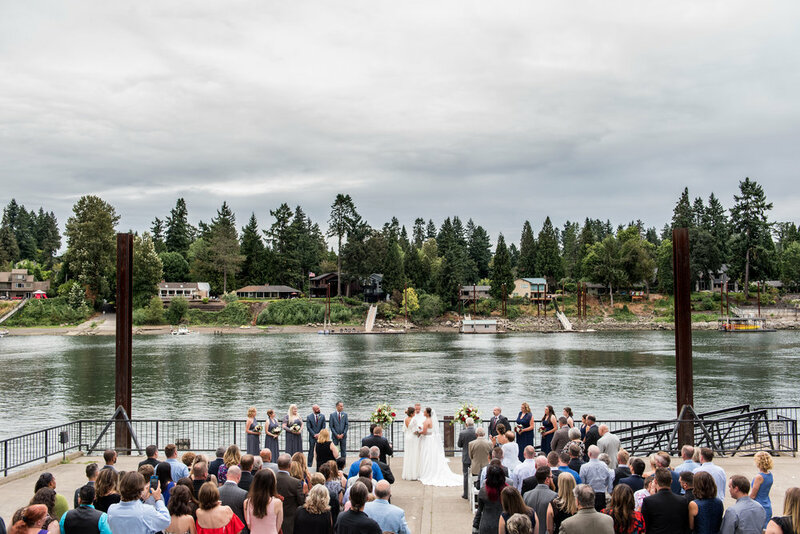 Stormy skies lingered throughout the June day to create a dramatic backdrop for their wedding ceremony on the THE FOUNDRY Promenade. 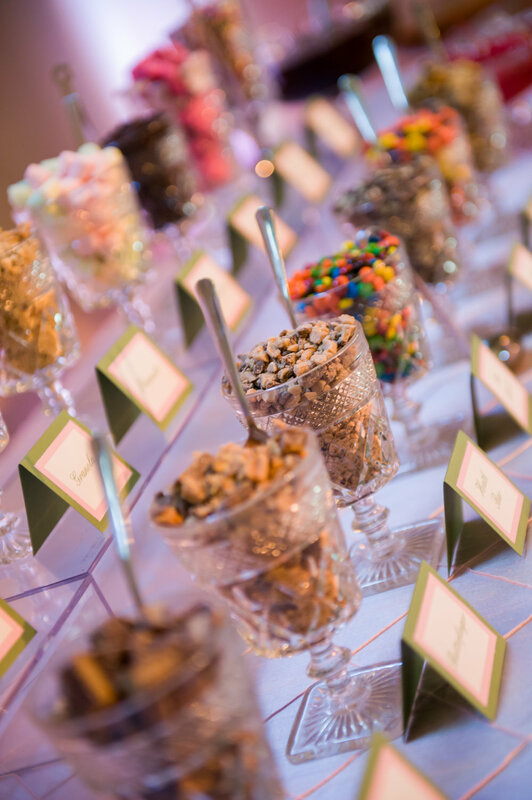 Guests then moved inside to enjoy a delicious Pacific Northwest inspired dinner provided by FOOD IN BLOOM and treats from RUBY JEWEL ICE CREAM and MOTHER PEACH Hazelnut Caramel Corn. ZEST FLORAL filled the room with beautiful floral and candle centerpieces and hanging lanterns for a pop of color M+A celebrated their American and Canadian roots by creating a themed Photo Booth shot by JESSICA WATSON PHOTOGRAPHY– complete with hockey sticks, flags, jerseys, and so much more. Beth and Mike are such a fun couple who met while singing karaoke with friends and instantly hit it off. Recognize the groom? He is a reporter on KGW Channel 8 news! 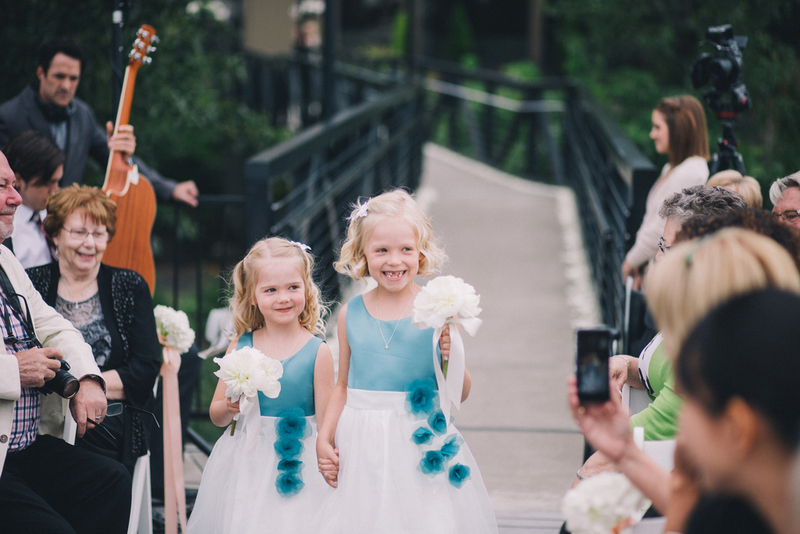 Beth and Mike worked with MEGHAN and held their ceremony at THE MADELEINE PARISH and celebrated their marriage with friends and family at THE FOUNDRY on a beautiful sunny spring day. ZEST FLORAL filled the room with lush centerpieces of pinks and whites. 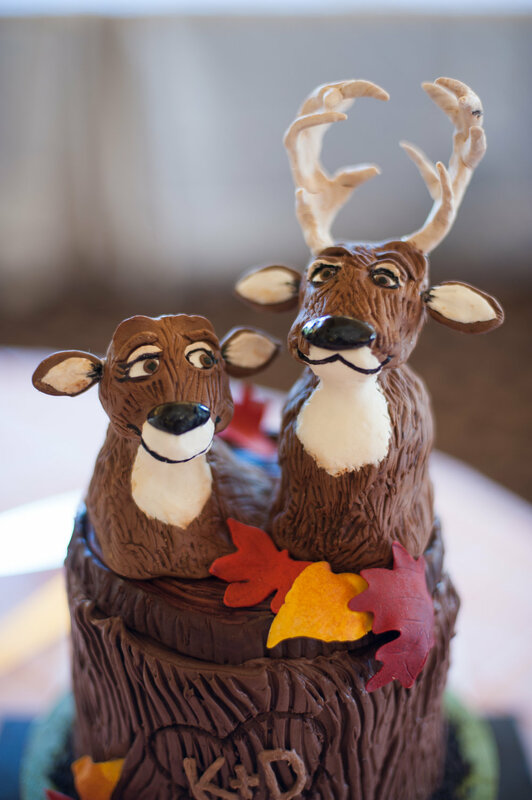 Guests enjoyed a delicious dinner by GP CATERING and decadent cakes by LE COOKIE MONKEY. To incorporate how they met into their wedding day Mike surprised guests by kicking off the dancing with the first song Beth heard him sing at Karaoke, Sweet Caroline- it was a hit with the guests and everyone joined in. 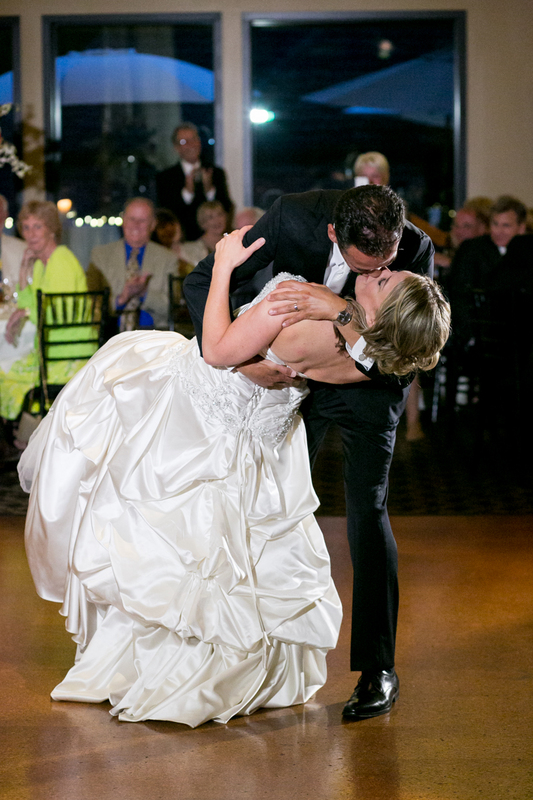 EVENT TEAM ENTERTAINMENT‘s tunes then filled the dance floor for the rest of the night! The sweetest way to end the night? VOODOO DOUGHNUTS presented in the signature pink boxes for guests to take home as a late night treat. 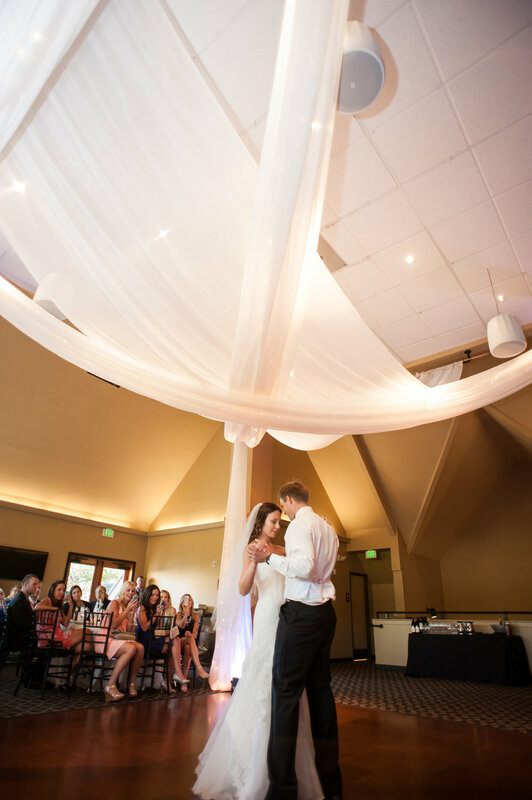 Kristin & Danny were married on a beautiful July day at a venue we work at quite often, THE FOUNDRY in Lake Oswego. We originally met with Rosie, Kristin’s mom, who may go down in history as one of the sweetest mothers ever. She was the local contact, while Kristin & Danny lived out of state and left most of the decisions to Rosie. It all came together perfectly incorporating Kristin’s pinks, Danny’s love of hunting and the couple’s fondness of frozen yogurt!